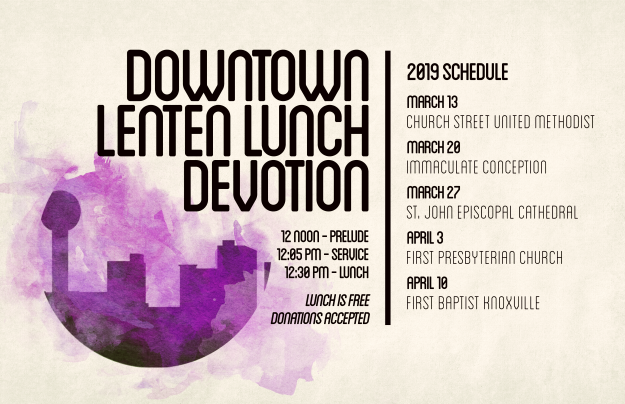 As part of our partnership with the Downtown Ministry Cooperative, during the Lenten Season we invite you to join others from the downtown community for a weekly time of ecumenical worship and lunch. Each Wednesday a brief service will be hosted by a downtown congregation, with lunch following. Lunch is free; donations are accepted. Join us for these time of worship and fellowship!